Wear resistant, high quality, roller blades and flats in hardness grades including HB400 and HB500 (HB - Brinell hardness scale), with one or dual - sided chamfering, induction quenched in standard 6m lengths. These are delivered in accordance with customer dimensions listed in tables or lengths according to customer requirements. 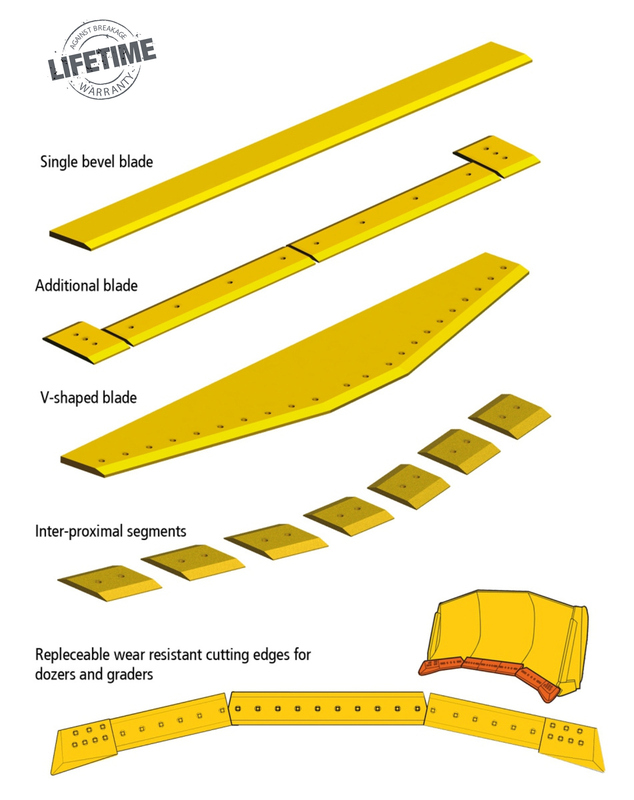 Furthemore, we deliver additional bored blades and blade segments for wheel loaders as well as blades for dozers and grades.